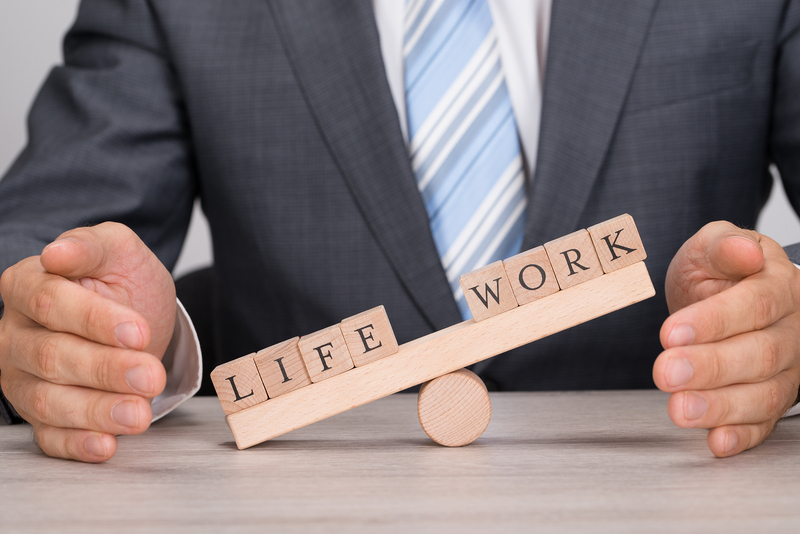 Work-life balance is a phrase that’s often overused, for an ideal that’s very misunderstood. ‘Balance’ suggests a measuring of weights or time. However, surely there is no golden rule regarding a work-lie balance which will easily apply to everyone. Yet intuitively we all understand what the phrase means. It refers to the feeling that you aren’t doing too much work and that you’re in a situation where you are equally enjoying the values from both your home and work life, with one not being sacrificed for the sake of the other. This is not an easy state to achieve if you’re an entrepreneur, even if you use the Getting Things Done PDF. Below, we’ve listed a number of strategies that entrepreneurs use to achieve a good work-life balance. Entrepreneurs schedule meetings, interviews, appointments, and much more – but rarely ever think about scheduling time to relax and unwind. Somewhere in the mass of work, personal time gets lost and relaxation seems more of a luxury rather than a necessity. In fact, relaxation is essential to sanity – and without it, you could quickly break down. Because of this, some entrepreneurs schedule time in order to relax, usually on the weekend when their companies are not so busy. If you need to improve your work life ratio right away, drop any and all activities that exorbitantly draining or time-consuming. This could be a monthly hangout date with friends that gossip a bit too much for your liking. Or, it can be a hobby like guitar lessons that you never really fell in love with like you thought you would. Regardless of what these time-consuming activities are, if they do not serve you and your happiness, drop them. Or, if it comes to household chores, hire a linen service to take care of them. This will give you an immediate boost to work/life balance because you will actually enjoy the life part of the equation. Although this really can be easier said than done, taking your mind off work is an excellent strategy to achieving a good work-life balance. Different from relaxing because it involves focusing on something other than work, it can call for extreme measures since entrepreneurs seem to have something work-related on the brain for twenty-four hours a day. Some good options include exercise – especially yoga and other mediation-based exercises – playing games such as poker, cooking and baking, and socializing with friends. Making friends with your co-workers and employees can make the working day a lot less serious and stressful. This strategy is a simple one with the basis being that if you have friends at work, you’re more likely to be able to have fun while you are at work. Make sure you also hang out with them outside of work to solidify your friendship. Whether you decide to go to events in NYC or just on a walk in the park, this is sure to help you enjoy you work/life ratio more. This will also give you someone to help take your mind off the stress of the work day when you need it the most. If you are in a relationship or married, it is important that your partner or spouse understands how to give you the right support when trying to achieve a work-life balance. In a world where most people rush out of their offices as soon as the clock hits 5PM, not many are able to understand the crazy world of entrepreneurs with twelve-hour work days and work-filled weekends. So, it’s essential that your partner understands why your work is important to you and accepts your unconventional working hours. This being said, this person should also be able to keep you accountable and make sure that you don’t over work yourself. One good way to ensure that people don’t make unreasonable demands when it comes to your time is to set expectations and limits. At work, this begins with letting customers, clients, employees and partners know when you will and won’t be working. This could be done by implementing an ‘availability policy’ which details when you will be available. This way, clients won’t think that you’re sat waiting for them at your computer all the time. At home, your family also should deserve to know when they’ll be able to see and spend time with you. This might include blocking off specific times of the week to spend with family, such as making sure that you take Saturdays off work in order to take your kids on a day out – a strategy used by entrepreneurs such as John Lemp. Another great piece of advice that can help you to achieve a good work-life balance is to learn to say no to extra projects. Often entrepreneurs can see extra projects as a way to make more money, however, you need to seriously ask yourself if it is worth the drain on your time and personal effort, or are you bringing enough money in without it. If you really want to improve your work life balance, you need to learn to distance yourself from technology from time to time. Business technology is a work life balance killer. Today, almost everyone is accessible twenty four hours a day, seven days a week thanks to the invention of the smartphone with email. However, this is incredibly detrimental to your personal life. That work email about team building can wait. Learn to put the phone away after you get home from work. You will feel less stressed and improve your work-life balance at the same time. As an entrepreneur, you should understand that you can’t do everything that everybody requests of you. However, if you’re worried about not being chosen for extra work in the future due to saying no, it could be a good idea to have some good recommendations to hand to make the client’s job easier, and respond by letting them know that you’re not available right now but hope to be in the future.